Among the many lawn care and landscaping equipment out there, a good weed trimmer is definitely one that will give your lawn that fresh look and edge you desire.Your lawn mower will cut most of the grass and lawn neatly, but there are many areas in your lawn where you cannot use your lawn mower, like the edge of the lawn close to the sidewalk or pavement, or part of the lawn with uneven surface or slope. This is where your string trimmer will come in very handy. Like the name implies, the weed trimmer will enable you trim neatly those areas in your lawn where your mower won’t operate, like around trees, flowers and other objects inside your lawn. 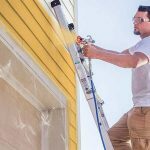 In this article, I will be dwelling on the different types of string trimmers so as to help you choose the type that’s right for you. 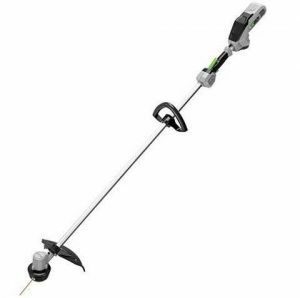 The weed trimmer consist of a long straight or curved shaft, with a rotating reel at one end. The reel spins a plastic line or string attached to it in a very fast centrifugal motion, which is used for trimming grass or thick brush. The principle of operation here is that a mono-filament line or string that is rotated fast enough becomes very stiff and is able to cut quickly through grass and other wood plants with ease. 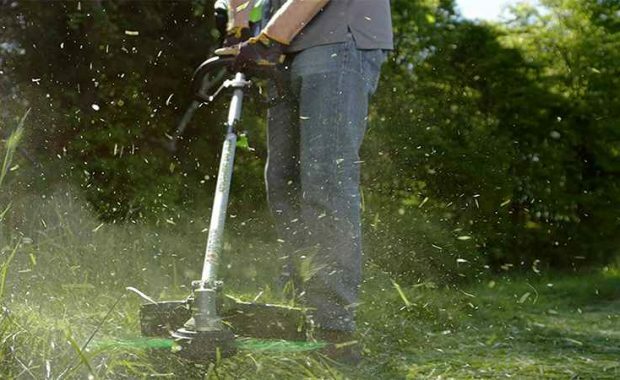 Needless to say, you should always wear protective gears like safety boots and jeans to protect your feet and goggles to protect your eyes from grass and dust when using a weed trimmer as the fast swinging line can also cause serious damage if it comes in contact with your body. 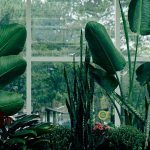 With that said, feel free to go through the following list and comparison table which dwells comprehensively on the top 10 best weed trimmers you can ever get your hands on. When it comes to making weed trimmers, few if any manufacturers makes them better than Husqvarna does. One of their best ones is the Husqvarna 324L. If you really desire a powerful weed trimmer, then you’ve got to take this one for a spin because it’s a beast weed eater with a 4 stroke engine providing power that spins the line. With the 4 stroke engine, you don’t have to worry about mixing fuel or appropriate fuel oil ratios to power the trimmer because it runs on pure gasoline, not gasoline and oil. The fuel only 4 stroke engine is not only removes the discomfort of having to mix fuel and oil, but also results in a cleaner running engine with less fumes coming from the exhaust as compared to a 2 stroke engines which uses fuel and oil mixtures. Engine vibration is one common problem with gas trimmers. However, the Husqvarna 324L doesn’t seem to get its fair share of this problem due to the 4 stroke engine which also runs smoother and quieter. Starting small engines like this can sometimes be problematic due to air buildup in the carburetor during operation. To tackle this, the Husqvarna 324L weed trimmer is equipped with an air purge system to release air from the carburetor to make it easy to start the engine. In addition, the Husqvarna 324L is equipped with a smart start feature which also makes it very easy to get the engine firing without any fuss. Feeding more line from the head is very easy because it’s equipped with a Tap ‘N Go head which only requires you to tap it to the ground in order to release fresh line when the previous line is worn out. As for weight, the Husqvarna 324L weed trimmer weighs only 11.24 lbs which is quite light from my point of view. So, you’ll definitely be able to maneuver and use the trimmer for a long time without getting tired out. These features makes the Husqvarna 324L one of the best trimmers you can ever get your hands on. The Husqvarna 324L weed trimmer has many desirable features all stemming from the fact that a 4 stroke engine provides the power for its operation. I like the fact that it works with gasoline only. You don’t have to mix fuel and oil for it to work, which eliminates any worry of wrong fuel mixture that can kill the engine or the worry of having to buy expensive premixed fuel. The tap n’ go head also makes line feeding a breeze. This is a feature which really makes using the Husqvarna 324L weed trimmer easy and comfortable for the user – a feature I like. The trimmer throws a lot of grass and debris on the user. A larger grass shield would definitely prevent this from happening, at least to some extent. Echo is another power tool powerhouse that produces some of the best weed trimmers you can think ever of. Actually, they need no introduction to the scene because they’ve been making these things for years, and have actually crafted a niche in making tools like the powerful GT-225 curved shaft weed trimmer. The Echo GT-225 weed trimmer makes it into this list not just because it’s made by a tool manufacturer of great renown like Echo, but because it actually merits it in terms of quality and performance. It comes equipped with a professional grade 21.2cc 2 stroke engine which provides enough power to trim weeds and brushes with ease. The engine is connected to the head by means of a 48 inch curved shaft which is not only good for lawn edging but also very easy to maneuver around obstacles while trimming with it. Charged with holding the spinning line is a rapid loader cutting head, which as the name implies can be reloaded quickly by simply inserting precut lengths of cutting line. This eliminates down time and ultimately allows you to spend more time trimming down the grass instead of struggling to load the cutting head. Getting the engine started is pretty easy because the Echo GT-225 is equipped with the i-30 starting system which reduces the effort needed to get the engine running, and makes it easier to start the trimmer. Equipped with it also is a good adjustable handle which makes it easy for you to configure the way you hold the trimmer for maximum comfort and maneuverability. I think the most likable feature of the Echo GT-225 weed trimmer is that it’s very easy to start, and it doesn’t take much effort to pull the starter. The i-30 starting system it’s equipped with really makes starting it very easy. With just 1 or 2 pulls, it’s already up and running. Power is also something the Echo GT-225 has a lot of. With it you can trim through tough brushes and weeds easily. Some people don’t like the curved shaft it comes with, but I say it’s a matter of personal preference, plus the curved shaft is really easy to maneuver, especially for edging. The Echo GT-225 weed trimmer is also very lightweight, which is one feature that will definitely do your hands a lot of good if you’ll be working for a pretty long time with the trimmer. The curved shaft has its perks, but if you’re really tall, you have to bend down a bit to have a good reach on the grass, which might not be comfortable for some people. The fumes, the noise, the smell and the maintenance can really take a toll on you when working with a gas weed trimmer. But not with a cordless or battery powered weed trimmer, since you don’t have to deal with emissions of any kind, noise and little or no maintenance is needed to keep them working. 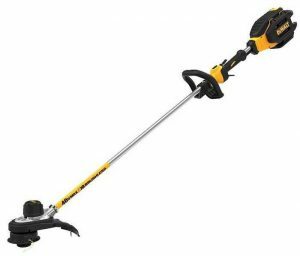 If you really can’t deal with a gas trimmer or you want a battery powered weed trimmer to complement your gas powered one, then you should seriously consider getting the Dewalt DCST990H1 cordless weed trimmer. Dewalt combines the efficiency of a brushless motor with the torque providing ability of a gear drives system to produce the Dewalt DCST990H1 weed trimmer. This combination is powered by Dewalts 40 volt max 6 Ah battery which provides the juice needed to get the weed trimmer running. It’s equipped with a variable speed trigger which is very useful because you can simply increase or decrease the speed depending on how fast you want to work or how tough the grass or brush is. To make it even easier to use, the Dewalt DCST990H1 weed trimmer is equipped with a bump feed or tap n’ go head to easily feed line or wire into the trimmer by simply tapping the head or bumping it on the ground. An attached 15 inch cutting swat attached to the line or head guard helps to cut off excess line from the line released when you tap the head on the ground, to keep the trimmer cutting efficiently. Normally, the fear is that battery powered tools don’t give good run time or are not as powerful as their gas powered counterparts. Well, I’d say gone are those days. And if you’ve used the Dewalt DCST990H1 cordless weed trimmer, you’d say that too. With the 40 volts 6 Ah battery, you can easily power through more than 2 acres of land without having to recharge. Now, if that’s not enough coverage/runtime for a battery powered tool, I don’t know what is. That’s what I really like about the Dewalt DCST990H1 weed trimmer. Even though it’s battery powered, it still gives you enough runtime on one single charge. It’s not just the runtime that sets it apart, the power it boasts does that too. You can set it on high speed and low speed using the variable speed trigger, and you can easily cut through thick brushes and grass as easily as a gas trimmer wood. The bump feeder also saves time and makes using it very easy. The head guard is really very small, so a lot of the grass and debris gets thrown at you as you use the trimmer. 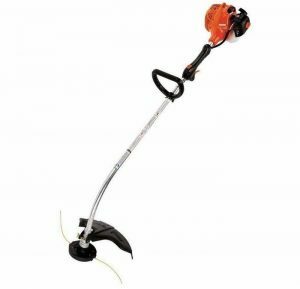 Another cordless weed trimmer that will save you from the headache of using a grass trimmer is the Worx WG163 GT 3.0 cordless weed trimmer. With the Worx WG163 GT, you get a wheeled edger and trimmer in one tool at the price of one, and you can simply convert from one to the other at the snap of a finger. It’s one of the most adjustable weed trimmer you can get your hands on. Most of the parts are built with adjustments to help you configure the tool to the state that suits you best, and all the adjustments are all tool-free. For instance, to convert it from a lawn trimmer to an edger, all you have to do is flip the trimming head vertically, and you have a lawn edger in your hands ready to use at the press of a button. To go back to trimming your lawn just flip it horizontally, and you have your weed trimmer back. Because you don’t require a tool to do this, it only takes seconds to make these adjustments. 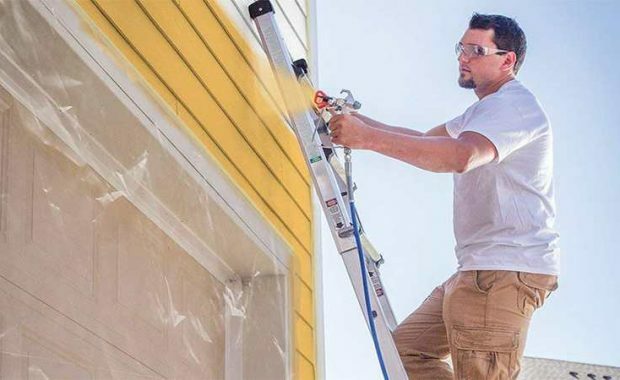 The front auxiliary handle can lock in 7 different positions, so you can trim and edge with the tool while holding the tool in the most comfortable way to avoid any form of fatigue. It comes with two 20 volts batteries, but runs on one. You can use one while charging the other as backup when the one you’re using runs down. One of the most useful and ergonomic feature of the Worx WG163 GT is the inbuilt innovative command feed spool system. With this system, you don’t have to feed line into the head manually or tap it on the ground to release more line, all you have to do is press a button on the trimmer near the handle, and the line feeds out on its own automatically. Now that’s dope, if you ask me. Lastly, inbuilt in the head is an adjustable flower or vegetation spacer which you can easily pull out to serve as a guide which protects your vegetation or flowers from the spinning line, or you can simply use it as an edger guide. If you find gas weed trimmers to be too heavy or cumbersome, then the Worx WG163 GT is definitely one that will make things easy for you. First of all, it’s less than 6 lb in weight, so it’s very lightweight. You can easily use it to work for a long time without tiring out. Secondly, you don’t have to manually feed line into the head. You can auto feed line into it by just pressing a button right at the handle. Thirdly, it’s battery powered, so you really don’t have a lot of maintenance to do, and you don’t have to pull a rope ones or several times to get it started. All you have to do is charge the batteries, plug them in and press a button to get the trimmer started. It slows down when trimming tall weeds and brush. It’s not very powerful but still does the job. Best for normal lawn trimming. Milwaukee needs no introduction when it comes to the manufacture of power tools. Their M18 Fuel system, like Dewalts Flexvolt system has drastically changed the way cordless tools are perceived. The Milwaukee 2725-21HD weed trimmer is one of their many cordless tools that is powered using the revolutionary M18 fuel batteries and their POWERSTATE brushless motor which ensures you get sufficient runtime from the tool. The good part apart it is, if you already have any of their cordless M18 tools, be it a circular saw, impact driver, sawzall or even their M18 jobsite table saw, you can use the same M18 battery to power everything. 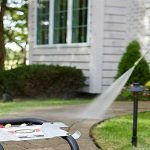 It’s equipped with a bump feed trimmer head so you can easily feed out fresh line on the go without pausing, by simply bumping it on the trimmer head on the ground. The metal bump button ensures the trimmer head does not fail due to successive bumping on the ground. Though it’s not advisable to bump it on concrete or pavement even though it’s made of metal. A 16 inch cutting swath line increases the cutting capacity of the trimmer by ensuring that a wide area of grass or weed is cut in just one pass. You can run the trimmer in two speed modes or settings, which are high and low speed settings. The high speed settings enables you to use the trimmer to cut through thick weed and brushes, but at a reduced run time. The low speed setting allows you to use the trimmer for light duty work like just trimming grass, thus maximizing runtime. It also has a variable speed trigger which allows you to vary the speed of the trimmer by how far you depress the trigger. The brushless motor is positioned at the back of the trimmer to provide balance for the tool and make it easier to maneuver it while working with it. Whether you’re a professional landscaper or you’re a home owner looking for an efficient easy to use trimmer to take care of your yard, the Milwaukee 2725-21HD cordless weed trimmer is definitely one I’m sure will exceed your expectations. Like every other battery powered string trimmer, the Milwaukee 2725-21HD requires little to no maintenance, and none of the quibbles that goes with using a gas trimmer. Apart from that, what I really dig about the Milwaukee 2725-21HD is that it was well designed and well made. I think it’s something that’s really going to last for a long time, as long as it’s not abused. Even though it’s battery powered, you’d discover that it cuts the grasses and brushes efficiently without bugging down, especially in the high speed setting. Even when working with the low speed setting, it still cuts lawn grasses without any resistance. The battery charges quickly and runtime with a fully charged battery is good, because you can get over 1 hour of heavy trimming from it. There’s not much to criticize about the Milwaukee 2725-21HD weed trimmer. Though compared to a gas trimmer, it could use a bit more power. 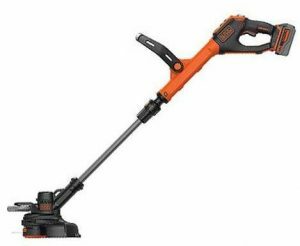 The Black+Decker LSTE523 is a weed trimmer which can also be converted to a lawn edger just like the Worx WG163 GT mentioned above. It’s part of the Black+Decker’s POWERCOMMAND line of tools which are powered by their 20 volts max batteries. Hence, if you already have any of the 20 volts max tools, you can use the battery to power this weed trimmer easily. The Black+Decker LSTE523 does not just transmit power from the motor to the string or line directly. Instead, Black+Decker employs a power drive transmission which increases the torque of the trimmer, so you can deal with tough weeds easily with it. With the Black+Decker LSTE523 weed trimmer, you get 2 speeds to choose from, one increases the power or speed so you can cut through tough dense weed and brushes easily, while the second reduced speed allows you to have a longer runtime while working with the tool. Feeding line from the trimmer head is not done manually, but by means of Black+Deckers EASYFEED feature which enables you to feed line from the trimmer head just by pressing a single button. 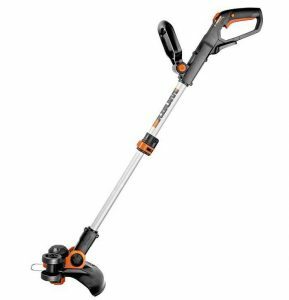 The Black+Decker LSTE523 is a straight shaft weed trimmer, which means you can easily reach the weed without having to bend down, even if you’re tall. Apart from that, the height or length of the shaft can easily be adjusted by the user in order to make it easier to use. Even the auxiliary handle can be adjusted as well to make it easier to hold. With all these features, if you get the Black+Decker LSTE523 weed trimmer, you can be sure that you’re getting one of the best cordless weed trimmers out there. Every part of the Black+Decker LSTE523 weed trimmer was designed with ease of use in mind. First of all, it’s very lightweight. So you can work with it for a long time before tiring out. It’s also very adjustable. You can adjust the auxiliary handle and you can even adjust the length of the shaft to whatever length works best for you. Because it’s cordless, you definitely don’t have a lot of maintenance to do as well. Getting the battery charged takes a reasonable amount of time. So, definitely have to consider getting a spare battery and charging both well in advance before starting your trimming project. In the Husqvarna 128LD is a straight shaft gas weed trimmer with a 28cc engine which uses a transmission gear to increase torque from the engine to the trimmer head by a 1:4 ratio. That means power from the engine is increased 4 times using the transmission gear before it reaches the trimmer head to provide more torque for the trimmer to be able to cut through the toughest of weeds in your yard. With all this power it boasts, I was left with no choice but to add it to the top 10 best weed trimmers for your yard. Unlike battery powered weed trimmers which starts at the push of a button, gas powered weed trimmers can really be a pain in the behind to start sometimes. To tackle this and make it easy to start, the Husqvarna 128LD is designed with a host of features which are geared primarily to make starting it a breeze. For instance, it’s equipped with the smart start feature which actually enables the user to only exert a very minimal effort when pulling the start cord for the engine to start. You don’t need a lot of strength to pull the start cord, just a little pull and it’s up and running. It’s also equipped with an air purge which helps remove air from the carburetor and fuel systems in the engine which helps it start easily. An auto return stop switch ensures that the stop switch returns to the start position whenever you switch of the trimmer, which also makes it easier for you to simply start the engine whenever you have to work with it again. Even with all the features it’s got, it still just weighs only 10.8 lb which I’d say is light for a gas trimmer. When you’re done working with the trimmer, you can easily detach the shaft from it because it’s not a fixed straight shaft trimmer like some of the ones I’ve mentioned before. And because it’s detachable, transporting it or stowing it away is very easy as well. Plus, this feature is also very handy because you can easily transform the weed trimmer to other tools by removing the trimming head and adding other attachments lie hedgers, saws and even blowers. I like the fact that it’s very powerful. If you really got some tough tall grasses in your yard, this will really help you to cut and trim them down nice and quickly. The easy start features it’s got are also very useful and important. You don’t have to exert a lot of energy to get the trimmer started. A little pull on the start cord, and you’re already on your way to trimming down all that garden. Carburetor screws may need adjustment, else it bogs down under acceleration. The Dewalt DCST970X1 is another cordless weed trimmer designed and built by Dewalt, which is a very good option for you if you’re looking for a convenient way to trim your lawn without dealing with gas. When you get the Dewalt DCST970X1, you get a lightweight 60 volt battery powered trimmer equipped with a brushless motor and a gear driven head to provide all the power you need to cut through overgrown weeds in your yard. Battery powered string trimmers are known not to be as powerful as their gas counterparts, but not the Dewalt DCST970X1. It defies that trend. With the 60 volts 3 Ah battery that comes with it fully charged and loaded on the trimmer, you have a beast trimmer in your hands that can cut through very tough and overgrown weed easily. Runtime is not a problem as long as the battery is fully charged, you can work for several hours with it before you need to recharge it. It’s really the power of corded in a corded tool. It’s equipped with a variable speed trigger with a hi/lo speed control which allows you to run the trimmer at a high speed for really tough weeds and at a low speed to increase run time. The reality is, you may not even need to run it at the high speed setting because the low setting cuts the weeds very easily. The cutting head uses a 15 inch cutting swath which is just long enough to cover a wide area of grass in one pass of the trimmer head. With the Dewalt DCST970X1, you get a weed trimmer which is powerful, light and easy to handle, but without all the quibbles that come with a gas trimmer. 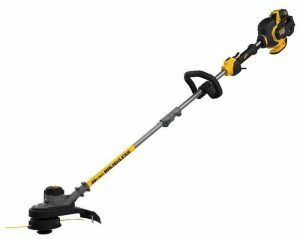 If you’re looking for a very powerful trimmer but you don’t want to deal with the troubles that comes with a gas trimmer, then by all means get the Dewalt DCST970X1 60 volts Flexvolt battery powered weed trimmer. Even though it’s battery powered, it still got all the power needed to deal with tough overgrown grasses in the yard. I really like the power this thing boasts. It also has a very good runtime. You can actually run this thing for hours trimming the grasses in your yards, and the battery will hold up all through. If you’re really working on a very large property or using it commercially, you can opt for a second battery just for backup. However, if you’re using this on a small property, you don’t need a second battery. Blade guard is very small, so you have to be ready to have grass and dirt all over your shoes and jeans. Just make sure you wear work jeans and shoes to when trimming with it. Safety glasses are also very necessary to protect your eyes from any particle the trimmer kicks up into the air. Ear protection is not needed because it’s battery powered, no engine sound to worry about. With a motor speed of up to 7800 rpm, Makita’s XRU02Z 18 volts powered cordless weed trimmer offers another battery powered option for you to trim the grasses and weeds off your yard. It’s equipped with a bump feed trimmer head which is one of the most user friendly way to feed line into the trimmer without sacrificing time. Just a tap of the head on the ground will release a fresh line for improved cutting. Also, the bump feed button on the trimmer head is made of reinforced to enable it withstand all the bumping it will receive during use and stand the test of time. Equipped with a straight telescoping shaft, you can easily adjust the length of the trimmer from 48-1/2 inches to 52-1/2 inches depending on what’s suitable for you to work with. The Makita XRU02Z trimmer head can also be rotated through an angle of 180 degrees to convert the trimmer to an edger for edging the corners of your lawn, walkway or driveway. One thing you’ll really appreciate about the Makita XRU02Z is the relatively short charge time of Makita’s 18 volts batteries. With less than 30 minutes, you can get a full charge on the batteries, so you can quickly get back to trimming instead of waiting for the battery to charge. The runtime is also pretty decent. You can get close to an hour of runtime out of a 1.5 Ah battery and more than an hour for a 5.0 Ah Makita 18 volts battery. With a weight of just 6.4 lb, the Makita XRU02Z is definitely one of the most lightweight and compact weed trimmer you can ever get your hands on, and most definitely one of the best weed trimmers you can get your hands on today. I really like the fact that the battery charges pretty fast. In 30 minutes or less, you already have a full charge in the batteries, which really reduces downtime. Though not as powerful as a gas trimmer, power is not also lacking with the Makita XRU02Z, as it can adequately take care of all the grasses in your lawn. 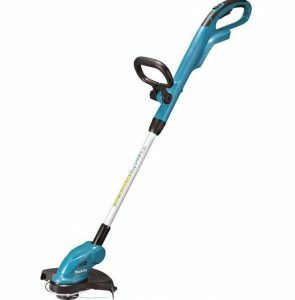 The telescoping shaft and rotating head feature are also very good features which makes the Makita XRU02Z weed trimmer very versatile and easy to use. The trimmer line that comes with it wears down pretty quick. A better quality line would definitely be a good improvement. 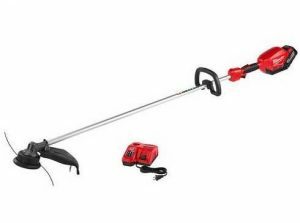 Another cordless weed trimmer that really impressed us a lot when doing the selection of this top 10 weed trimmer list is the EGO Power+ ST1500. It uses EGO’s 56 volt battery in combination with a brushless motor, with both battery and motor on opposite ends of the trimmer to provide balance while holding and working with the trimmer. The EGO Power+ ST1500 is one of the most powerful cordless trimmers you will ever get your hands on with its power even rivalling gas trimmers. It uses a dual line bump feed head which feeds a 0.095 inch line from both sides of the head by simply bumping it on the ground. The dual feed line ensures that the trimmer cuts through tough weeds easily, and the line does not wear out fast like trimmer heads that uses only one line for cutting. It comes with a variable speed trigger which you can use to adjust the speed of the trimmer depending on how fast you want to work or the toughness of the grass or weed you’re trimming. The battery charges pretty fast in 30 minutes or less, and you can get a good run time from it, like 30 minutes to 1 hour, especially if you’re not using it at full throttle. The 0.095 inch diameter line wears down slowly because of the greater diameter and really allows you to get a good runtime from each line swath before feeding out another line. Overall, the EGO Power+ ST1500 is no doubt one of the best weed trimmers you can get for your lawn care and landscaping needs. 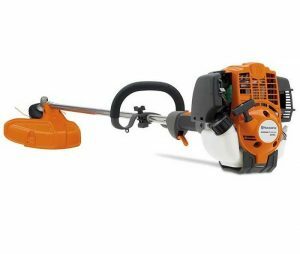 It’s got the power you need to cut through tough overgrown, minus the noise and pollution usually caused by gas trimmers. Using the EGO Power+ ST1500 is just like using a gas trimmer as far as power is concerned. It’s really powerful enough to cut through tough grasses and weeds easily. It’s also very well balanced, and does not weigh too much to handle. I also like the fact that it uses a 0.095 line which does not wear down quickly like that of other trimmers than use smaller diameter strings. The runtime could be improved. 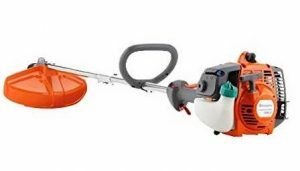 Can you use any size of trimmer line with the Husqvarna 324L?